"Nothing to worry about - it's not my car." 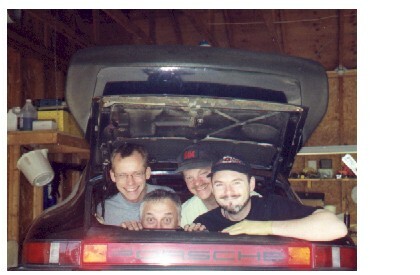 That's (left to right): Michael Wildt, Mark Hald, Me and Michael Rothenberg in Michael R's SC. The engine was out while we fixed a little problem in his gearbox.